Post #2 has a link to build the LED blink code reader. To access live data, you need a digital scanner capable of comminucating with Mercedes OBD-1 digital systems... something like the Snap-On MT-2500 with 2003 MB software cartridge & cables. This only applies to LH, HFM, and ME injection systems... not the older CIS mechanical injection. I have a 1995 Mercedes E320 cabriolet. Built the scanner which I am trying to diagnose my rollbar and convertible soft top with. I tried to plug my scanner into ports 1, 16 and #2 in the passengers footwell but It won't work, seems like no power at port #2? If I plug into port 9 under the hood, I get a code 1. Is there a fuse for that port ? 10 Voltage at mass air sensor too high/low. Those are correct, although you only list the first 10 out of the 26 total codes for the DM on a W124 with M104 HFM motor. Use the PDF in post #19 above. thanks for responding. What is HHT? Hand Held Tester. It was a factory Mercedes tester and coder, until replaced. Great info in this forum. Hope I can add positively to the contribution of ideas. So I needed a OBD I blinker code reader for my 94 until I get the actual scanner. Wanted to check to see if there were any codes although my check engine light is not on. Found this thread on how to make a code reader as well as several others and proceeded to make my own. I wanted to share my findings in the event that others may find them useful. I kept things Mercedes, rather than get the requisite parts from radio Shack, and to keep an MB flair I opted to re-purpose a common Mercedes dash switch for this tool. 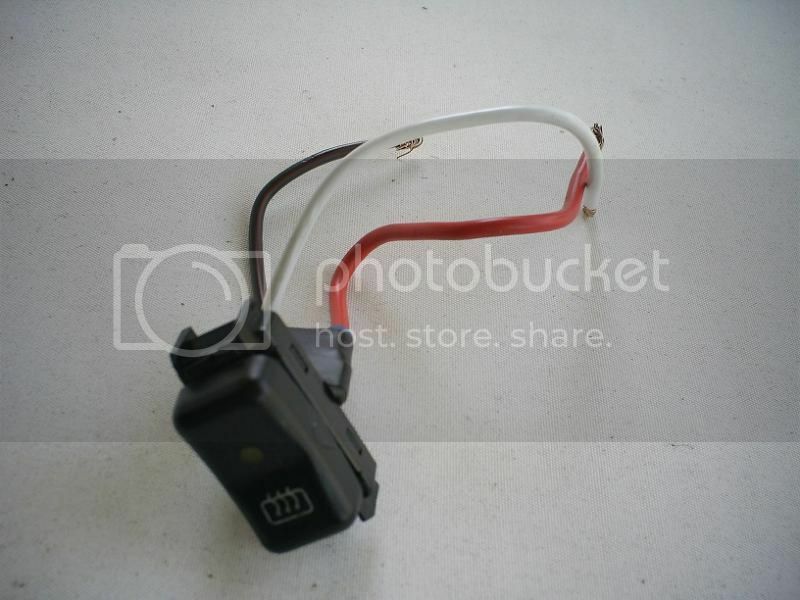 In my case I had a spare w124 Rear Window Defogger switch, but a Air Recirc switch or likely any other MB momentary dash switch with LED indicator would work. Open the switch and make a few changes with a soldering iron. All the parts you need are already in the switch. 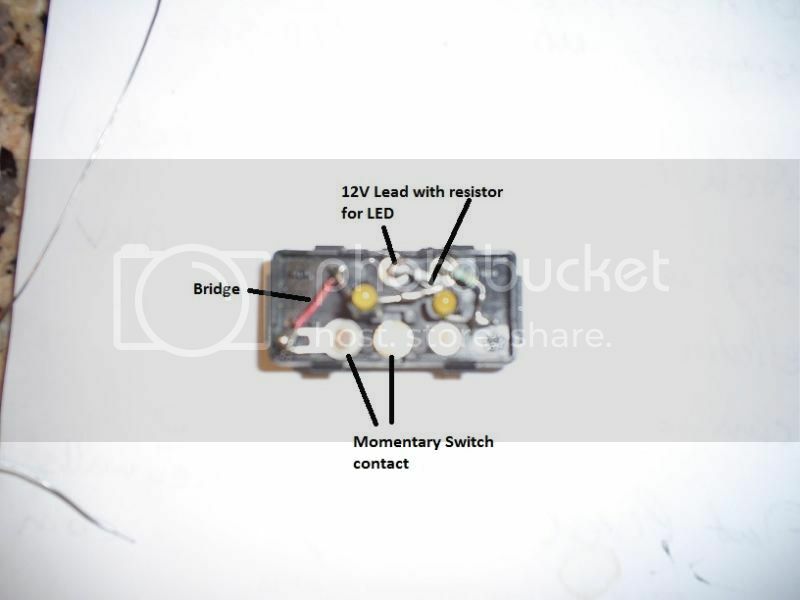 The RW Defogger switch has (2) LEDs, and (2) LED resistors. Add a small wire connecting bridge and your are done. Same holds true for an Air Recirculation switch. If you really want to get snazy and either have an extra spot on your center console switch assembly or simply dont need a RW Defroster. you could wire the switch directly to lead 8 and 14, and since this switch is a double trow momentary, you can read your fault blinks from the comfort of the cabin, one direction for pin 8 and the other for pin 14. Last edited by 87tdwagen; 11-12-2014 at 03:07 PM. Any Light Emitting Diode, except with already built in resistor, can be used. You'll need three banana plugs as shown. One LED color of your choice any size. Wire as in the image and it will work. Mostly, I don't know notin, I just know where to look. I am looking back, to over 30 years in Electronics Design. Electrons don't care if they move in a car, computer or relay! 95 W124 E320 M104.992 - Because, I love to repair, naaaah! I built this tool this evening to help further diagnose a DM code #6 (the idle on my 94 e320 wagon has been really high). It appears to work on pin #6 and #7 (Pin #6 returns 8 flashes and pin #7 returns 1 flash). However when I try on pins 14 and 8 I get no feedback, not even a single flash. Any ideas why I wouldn't get any feedback from these pins? **Update** - I went to radio crap and bought the specific LED as per the instructions earlier in the thread and that fixed the problem. 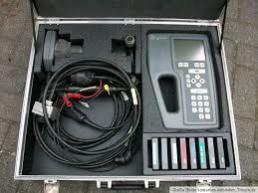 Put an ohmmeter between the black ground wire on your tester and the wire that you move around. Press your momentary contact switch and check that the resistance goes to zero. If it does not, then that could be your problem. Use the lowest range on the meter. I built one years ago and included a 250ma fuse in the test line. The resistance of the fuse was enough to keep it from working on some of the pins. Changed fuse to 1 amp and all was well. You could have a switch that has oxidized contacts adding unwanted resistance. I have fan blower motor and air conditioning and heat not working in my 1994 MB E320 (W124). I have installed a new strip fuse 30 Amps (part # 000-545-20-34) in front of fuse box. It is still not working. Are there any more fuses or relays in this circuit I should check? Any other thoughts? Clear the code and see if it keeps returning. If so, you'll need to check codes on the other modules. If the car is running normally, you can just ignore the CEL, unless it has to be off for an emissions test.